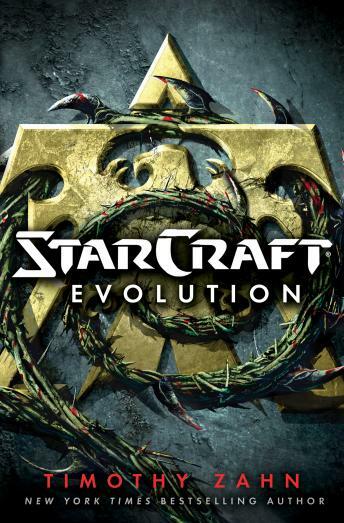 Award-winning author Timothy Zahn pens the latest chapter in the stunning StarCraft saga, building on the game’s rich legacy to create an unforgettable new story. After nearly a decade of brutal warfare, three mighty factions—the enigmatic protoss, the savage zerg, and the terrans, humanity’s descendants in the sector—have entered a cease-fire, but the peace is tenuous at best. When the sudden restoration of an incinerated planet is brought to light, tensions erupt. Neutrality swings back to hostility, and old enemies are accused of developing biological weapons to reignite the bitter conflict. An expedition of terran and protoss soldiers and researchers is deployed to investigate the mysterious zerg planet and its inhabitants’ intentions. But the lush alien landscape is host to other denizens, creatures shrouded in shadow, and should they be unleashed, they will change the fate of the entire galaxy. very much enjoyed this book. we get to dive deeper in to protoss and Zerg lore. I have listened to this book twice now and still finding stuff I missed the first time around.